Maintaining a company data center is challenging and distracting for businesses. Colocating your data center offsite helps you focus on your business success. 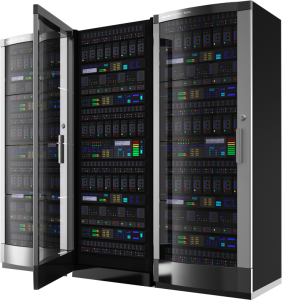 Working collaboratively with you, we’ll design and deliver a data center expansion or relocated solution to achieve your objectives with our colocation facilities around the country. Automates the enrollment, provisioning, configuration, and management options to save your enterprise time and money. MDM enables remote and seamless control over devices, giving enterprises the power to enforce security restrictions to protect the corporate-owned data regardless of the device that holds it. Helpdesk Services outsourcing provides your business with round-the-clock support, and dedicated customer care representatives, without the high costs associated with providing an in-house Helpdesk. In addition to providing a tax-friendly alternative for your business, our Helpdesk allows you to focus your attention on your core business. Patch Manager gives administrators and end-users granular control over the deployment of updates to operating systems and 3rd party applications on network endpoints. Featuring a centralized, easy to use interface, easily deploy OS updates, create policies for automation and view granular reporting after completion. Our 24×7 Network Operations Center Service Desk is the single point of contact for clients and their businesses. “First responders” monitor events, deploy resources and quickly resolve incidents. Being pro-active is the key in delivering higher up-time. This level of quality gives our clients confidence that their infrastructure is in good hands. Need to order new Technology products, but don’t know where to begin? We offer vendor-agnostic IT Consultation on Product Ordering. Connect with a Sales Engineer to discuss your product needs and have a detailed quote sent out within minutes, all managed within your Client Portal. Business growth is your priority – IT is the key vehicle to reach that goal. Is your organization prepared to produce the results your business leaders are expecting? You need an IT Partner to make that growth a reality. We understand that your business and IT objectives are identical. With our Managed Services program, you can enable the agility, innovation, and lower total cost of ownership required for your business success amidst a rapidly shifting technology landscape. Move decisively with speed and confidence. Accelerate business performance wherever you do business. TheNOCMan brings together the right people and industry best practices to provide comprehensive, end-to-end management for your data, voice, security, and infrastructure and applications. With Managed Services, our technical specialists can monitor, manage and support your entire IT environment, providing a single point of contact for your technology needs. Businesses that choose managed IT services can save time, reduce operational costs, become more productive and free up resources to focus on growing the business. We offer graduated levels of service designed to meet the unique needs of each business. The level of management that we will recommend depends upon the individual requirements of your organization. 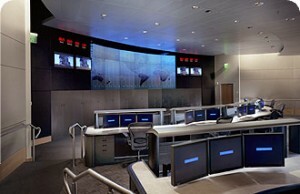 Our 24x7x365 NOC Engineers monitor your systems to ensure up-time and accessibility. We provide visibility into your entire IT performance. It also provides data needed for historical tracking of IT systems, like information on the health of your systems, thresholds, alerts and reports that keep you on top of situations. Grow Your Business Without Adding Headcount. Our highly trained NOC team consists of over 100 certified engineers in a variety of technology areas such as Microsoft, Networking, Backup, Database, Security, OS, Virtualization, etc. Our Service Level Agreements are clearly defined and our escalation procedures are based on the priority of the incidents. Our engineers are trained to respond immediately to alerts. Centrally managing and maintaining critical infrastructure devices helps reduce cost. Infrastructure monitoring allows you to focus your skilled team on strategic, customer facing business problems.